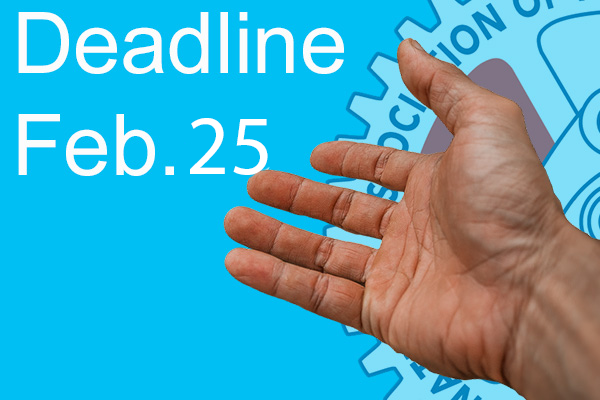 The deadline to register for the IAM Retirees’ Assistance Program is February 25, 2018. The Retirees’ Department is convening the program at the William W. Winpisinger Education and Technology Center in Hollywood, MD April 22–27, 2018. Download the call letter and registration forms in English or French. The program is designed to educate participants on a variety of geriatric and mental health issues. The IAM’s objective is to equip retirees with the skills to identify others in need, with the sole purpose of referring them to professional help. If you are interested, do not wait. Registration forms must be forwarded to IAM Retirees Director Ed Manhart no later than February 25, 2018.